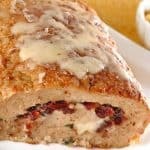 Meatloaf made with ground turkey is not only a leaner choice than those made with ground beef, it allows for more creativity in terms of added flavors. 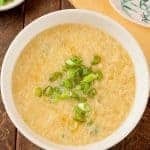 This recipe combines fresh jalapeño pepper, roasted green chiles, cumin, coriander, garlic and onion to make a slighly spicy, flavorful finished dish. 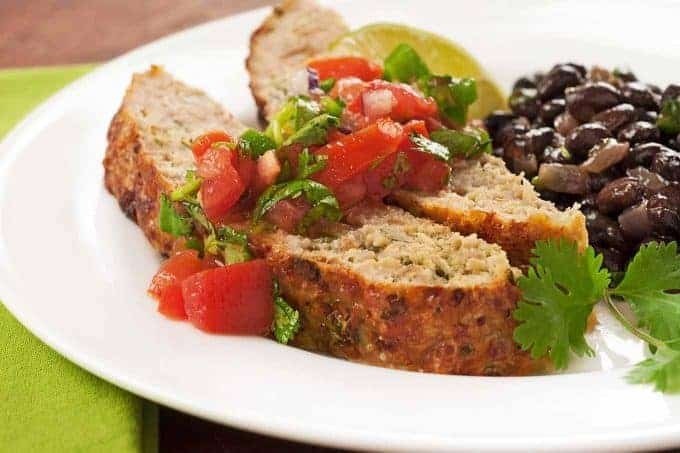 Topped with fresh homemade salsa, this easy turkey meatloaf is delicious served with Black Beans with Onion and Cilantro (recipe included) and a green salad. 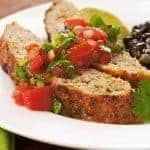 This deliciously moist turkey meatloaf is flavored with green chiles, fresh jalapeño, cumin and coriander and topped with a quick and easy homemade salsa. Preheat the oven to 350°F. Line a shallow baking pan with aluminum foil and coat with nonstick spray. 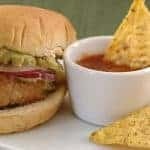 Place the turkey, egg, chiles, breadcrumbs, salt, cumin, coriander, a few grinds of black pepper, garlic, jalapeño, onion and jalapeño pepper sauce in a mixing bowl. Combine thoroughly, form into a loaf and place on the prepared baking pan. The mixture will be very moist, so you may need to re-form it a little once it’s in place on the pan. Bake until an instant thermometer inserted into the center of the meatloaf registers 170°F, 50 to 60 minutes. While the meatloaf bakes, make the fresh salsa. 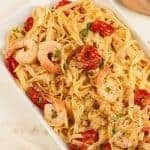 Combine the tomatoes, garlic, onion, jalapeño, oil, lime juice and hot sauce in a bowl. 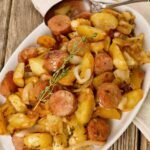 Season with salt and pepper and set aside for 5 to 10 minutes for the flavors to blend. 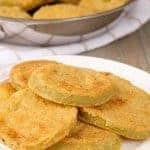 Taste and adjust the seasoning and heat as needed. Stir in the cilantro just before serving. Allow the meatloaf to rest for 5 minutes before slicing. Top with fresh salsa and serve with Black Beans with Onion and Cilantro (see below). 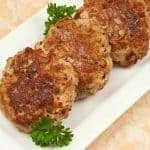 Warm thin slices of meatloaf in the microwave (or the oven) – just enough to take the chill off. Spread bottled chili sauce (we like Heinz) on sourdough bread, top with cooked crumbled bacon, a slice of tomato and thinly sliced Muenster cheese. Toast lightly to melt the cheese and serve immediately. Heat the oil in a large skillet over medium heat. Add the onion and sauté until tender and just beginning to caramelize, 5 to 6 minutes. Add the beans, cumin and a few grinds of black pepper. Continue cooking until the beans are heated through, 2 to 3 minutes. Remove from the heat, stir in the cilantro and serve immediately.